Infertility is a condition affecting numerous couples. In fact, one study reports that up to 48.5 million couples struggle with infertility around the world. Infertility can affect both men and women and can be a source of stress, disappointment and frustration. 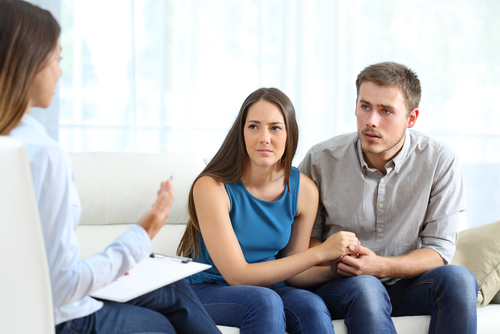 The urologists and infertility specialists at Urology Associates of South Bound (UASB) understand the complexities that come with infertility, which is why, when it comes to male infertility services that South Bend men rely on, UASB is there to help. There is often a misnomer regarding infertility in that the common cause is mostly associated with women. Although women can certainly struggle with fertility challenges, so can their male counterparts. The Centers for Disease Control and Prevention (CDC) reports that approximately eight percent of couples dealing with infertility issues have identified the male as having problems. In addition to diagnostic, testing, and treatment, UASB has numerous resources and additional urology services available. How Does Infertility in Men Occur? There may be additional circumstances associated with infertility that your urologist will discuss, such as your age, potential exposure to environmental toxins and obesity. No matter what may contribute to your fertility challenges, you can relax knowing that our UASB physicians and staff will help you navigate various infertility treatment options to find the best solution for you. A urologist may prescribe certain medications or supplements to treat or increase fertility viability. Behavioral and lifestyle adjustment recommendations may also be suggested to remedy certain conditions that cause infertility. Surgery utilized to remedy an obstructed vas deferens, or to directly extract sperm from the testicles or epididymis can be utilized as a potential solution to male infertility. This includes Assisted Reproductive Techniques, Intrauterine Insemination (IUI), In Vitro Fertilization (IVF) and more. If you’re ready to explore your options for male infertility treatment, please contact us now. Our friendly staff will help you set up your first consultation: (574) 234-4100.